The Humanscale M2 Extending Monitor Arm Silver is a stylish and innovative monitor arm, allowing the user to easily adjust monitor to optimal position, improve posture, increase desk space and share work with a simple movement. Designed to suit a range of settings, the M2 allows the user to bring their work to them, versus having to adjust to a static monitor stand. 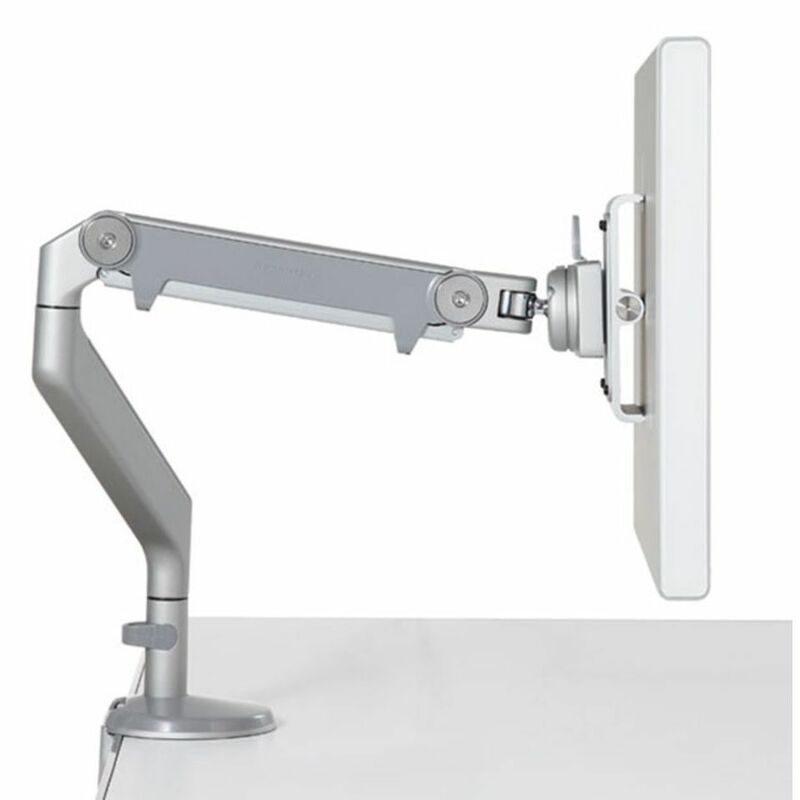 M2’s articulating arm offers effortless height and depth adjustment for the majority of flat-panel screens available today, accommodating monitors up to 9.1kg (20 lbs.). The M2 embodies what a monitor arm should be. The M2 allows the user to work in a healthy posture by setting the monitor at an optimal distance and height, collaborate easier through effortless screen sharing, and increase desk space. Its cable management and minimal design enhance the look of any workstation.